These above words I was thinking in 2010 and finally got what I was thinking, now I am a Blogger having a Blog and Blogging since 2011. Why I have chosen this topic? Because I know! There is so many people around here on the internet they still unaware that what is Blog, Blogger or Blogging. So I am starting new blogging series this to guide little bit. Most of the peoples Blogging for just passing their time means for passion and some of us are Blogging for make money. I have started this new subdomain just for sharing best Blogging ideas and in the very beginning I have choose the especially first step for people they understand what the meaning of Blog, how can we start Blogging and how to become best Blogger. 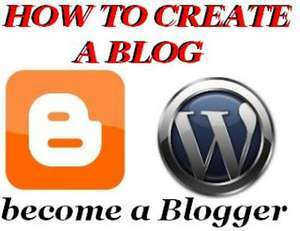 So here we will talk about complete guide for introduction of Blog, Blogger and Blogging. Nothing different here, basically its also same like website. Actually this word has been generated and abbreviated from the “Web Log”. In Blogs you will get every day new information related to tech, tutorials or related to its title and having option for feedbacks in every news, all the above mentioned things making together a type of website called Blog. In a simple words, you have to share the knowledge, write information and contents whatever you know and think it’s good to be shared with everyone. Its related to tech, Software, Hardware, Internet, Make Money, Software Reviews or whatever but must be informative means you have to update everyday your Blog with such a great useful ideas is called Blogging. 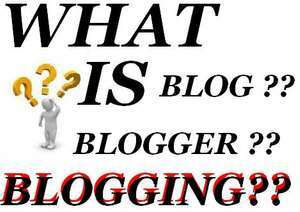 What & Who is Blogger? Behind the above written contents there is Blogger. Yes! A Good Blogger is writing information, articles, and contents on every new topic then update its their Blog everyday. This is called a Good Blogger. This is just an introduction for Blog, Blogging and Blogger, still this series will be complete step by step teaching all of newbie and beginners. Feel free to Ask any question related to this above post. Waiting for you response. Follow us on the Following Social media networks and always connected with us.